UFO SIGHTINGS DAILY: UFO Seen Off Popular Florida Beach, Spectators Are In Awe. Is it a ship? Is it a UFO? June 2016, Video, UFO Sighting News. 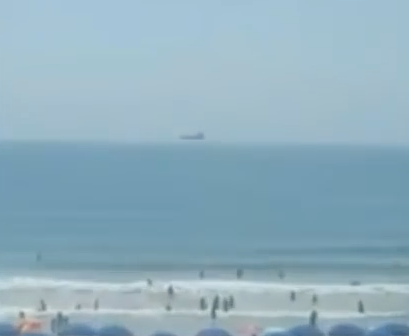 UFO Seen Off Popular Florida Beach, Spectators Are In Awe. Is it a ship? Is it a UFO? 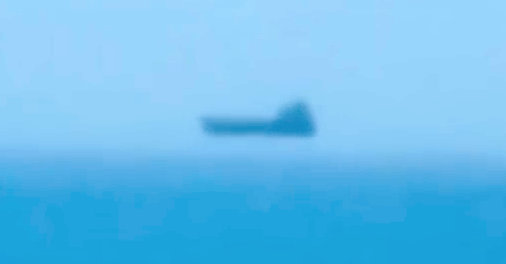 June 2016, Video, UFO Sighting News. Above screenshot has added contrast, below is normal from SnapChat. This looks to me like a UFO that has risen out of the water and is hovering over the water. UFOs often try to discuss themselves, thats not news to most of us. They make themselves look like meteors as they enter the atmosphere. They make themselves look like passengers jets, but morph. Now we have evidence that they make themselves look like ships...but they fly. You see, they can play their tricks all they want, but sooner or later they get caught. The video captured the rare Fata Morgana Mirage at Cocoa Beach, Florida.